Coming off a championship season in 2015, the B99 Storm team is off to another fast start this year with two tournament wins in the past six weeks. 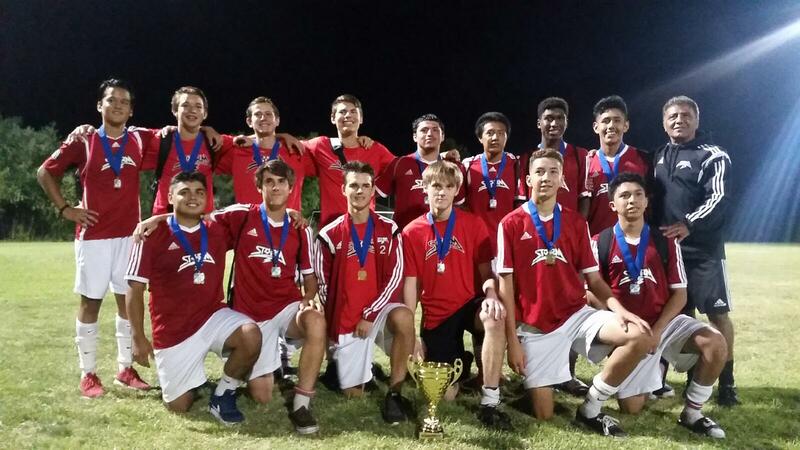 Under Coach Moe Mashhadi, the team has won six of its past seven tournament games and collected titles in the Pegasus Cup in San Diego on June 24, The boys beat San Diego SC navy ellite 3 to 1 and the Dave Shelton Memorial Cup in Escondido. On July 17, the team beat the Valley Center Hurricanes 2-1 in the Shelton Cup championship match, avenging a 2-1 loss just an hour earlier. Mashhadi’s team went undefeated last season to take first place in the San Diego Developmental Academy’s Flight 1. For 2016, the team has added a few key players due to the new age brackets. The additions have delivered more scoring punch and provided more depth along the defensive line.